All this talk about manic Monday and other such festive nuggets has actually rubbed off. We are starting to feel jolly. And we thought you might be too. Now just because we don’t have an on-line shop, it doesn’t mean that we don’t do mail order. We pride ourselves on our mail order service, and what we lack in style, packaging-wise, we make up for with great gusto. Taking the gift of smellies to a new level. The most obvious thing to order is a hamper. We are mostly about food, of course, but we do sell a whole lot more besides. 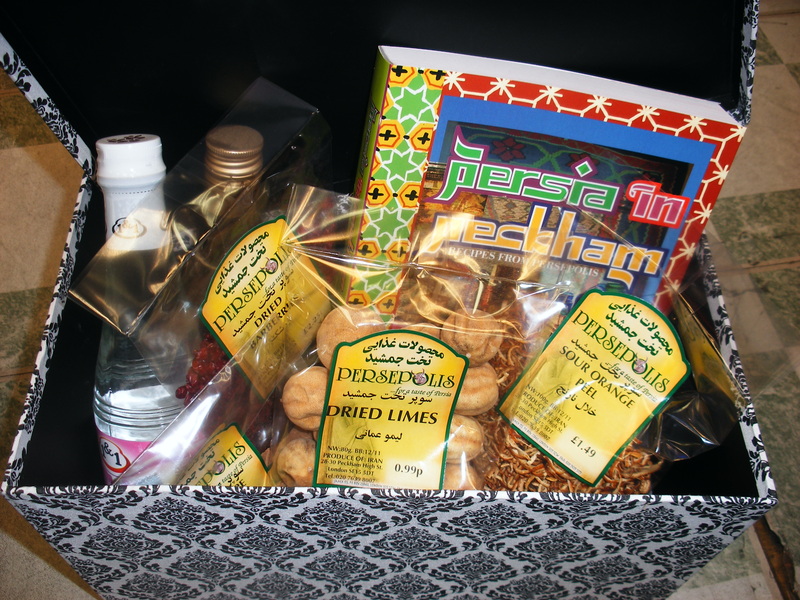 the tea bag – a box full ot tea-related goodies, comprising a Shah Abbas teapot and warmer, two caddies of loose-leaf tea, some sugar crystal stirrers and sweeties. From £35.00. 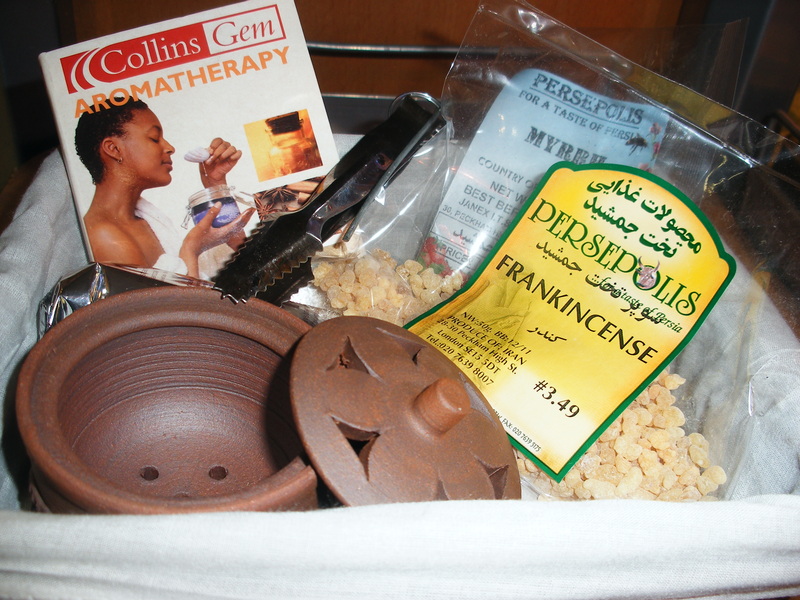 the fragrance hamper (gee that sounds cheesey – it’s better than it sounds, honest) – consisting of either a charcoal burner or an oil burner, with the resins or oils of your choice, together with charcoal or candles as relevant. the recipe bundle: a cookery book, and a clutch of handy ingredients to go with. But if none of those take your fancy, we’ll shove anything but the cat in a hamper, so call us to discuss your requirements. Right, now where’s the Christmas decs…?